Randi Rahm’s spring bridal collection of versatile, mix-and-match and customizable couture pieces is the perfect fit for a modern bride who wants to change up her wedding day look, or even wear it again. 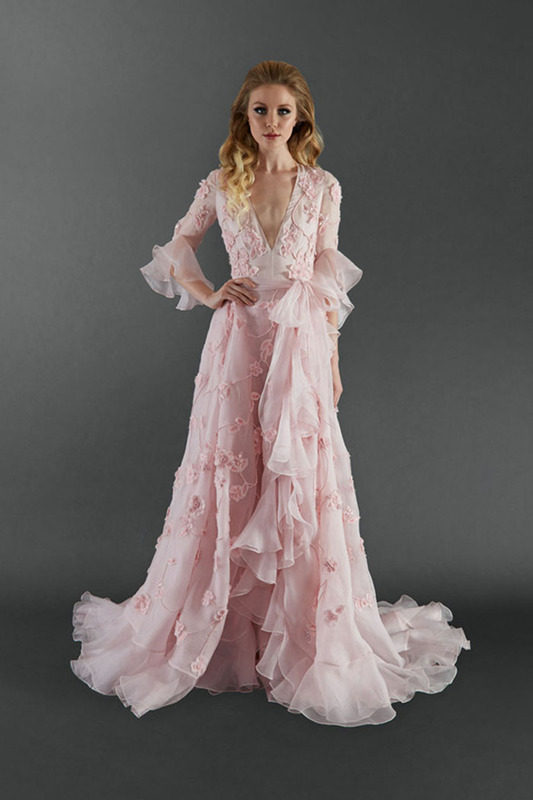 Randi Rahm’s spring bridal collection of versatile, mix-and-match and customizable couture pieces are the perfect fit for a modern bride who wants to change up her wedding day look, or even wear it again. She also re-created a white version of the “Rose Gown,” recently made famous by reality show “The Bachelorette,” to the collection for good measure, because who doesn’t love a crowd favorite.